What is inbound marketing, and how can it help you drive predictable, repeatable, sustainable business growth? Here's everything you need to know. The way people buy has changed. Almost every purchasing decision now starts with buyers doing their own research online and making decisions based on what they find, not on what they're told via sales calls, promotional events, emails and so on. Because of this, it doesn’t make sense just to stick to those marketing techniques anymore. An inbound approach to your marketing complements this change in buyer behaviour by providing useful content (articles, survey reports, white papers etc.) that people find when they research a purchase or problem. Notably, an inbound lead is often higher quality than one generated through traditional 'outbound' marketing as the buyer has already decided to come to you to help them with their problem or challenge. If your business goal is to generate leads that close, an inbound approach can therefore be hugely advantageous. So how does this work in relation to traditional (or ‘outbound’ marketing), and how can you use an inbound marketing strategy to generate more leads that close? In traditional marketing and sales, the focus is on ‘interrupting’ prospects to build brand awareness or product awareness. They might be interrupted by a billboard on their journey to work, by an unsolicited email in the office and then by a sales call at the weekend. People don’t want this anymore. For example, more than a fifth of internet users in the UK now use ad-blocking software, according to this 2016 survey. Inbound rejects this constant interruption and takes the opposite approach. Inbound marketing efforts are only seen by those to whom they're relevant, and the marketing focuses on providing useful information. Triaster implemented inbound marketing just over a year ago; the results have been amazing. We didn’t use an agency, but did invest in significant training about how to do inbound right. My view is, invest the time and the results will come. By useful information, we mean content that is relevant and helpful to your customers. By providing the right content in the right place at the right time, your marketing will no longer be interruptive. Instead, you'll be able to attract inbound traffic and build trust and credibility at the same time, and over time, you will be able to convert this traffic into customers. What is lead generation (and how can you use it to take your revenue through the roof)? A study conducted by Harvard Business Review found that ‘decision simplicity’ was the biggest factor influencing customer likelihood to follow through on an intended purchase, buy the product repeatedly, and recommend it to others. 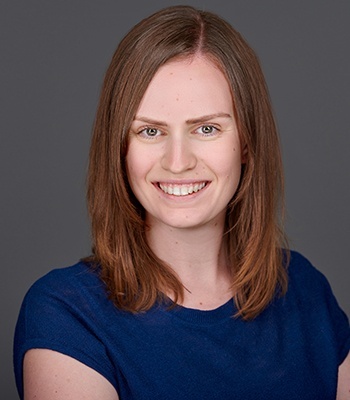 The study authors define decision simplicity as ‘the ease with which consumers can gather trustworthy information about a product and confidently and efficiently weigh their purchase options’. An inbound marketing strategy makes decision simplicity easier to achieve by providing visitors with reliable and trustworthy information relevant to their needs, whichever stage of the buyer's’ journey they are at. The buyer realises they have a problem. The buyer chooses a solution. Another benefit of inbound is that when you produce quality content, it keeps on producing results. At BabelQuest, we use a marketing automation software platform called HubSpot, which makes it easy to implement inbound marketing. HubSpot’s founders coined the term inbound in the first place, and use the inbound methodology to promote their product. Because they create quality, well thought-out content that often remains useful for years, a staggering 72% of HubSpot’s own leads each month come from their historic articles and downloads. To put this another way, HubSpot generates more than two thirds of its leads without the marketing team even getting out of bed to write anything new. Impressive. Of course, your content also needs to be found if it's to add value to your business. The beauty of creating quality content it is much more likely to be shared, and therefore has the potential to reach a wider audience. Google also rewards content that is genuinely useful to their customers, by ranking it higher on their search results. 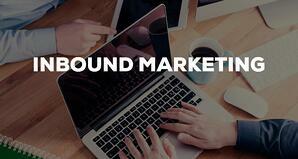 Inbound isn't just a marketing approach. Learn how inbound sales could help you improve sales productivity and sell more. How long will it take for inbound to produce results? The standard answer HubSpot gives is six to nine months. But in our experience, you can see a positive impact from inbound within three months, and concrete results after six months. An equally important question to ask (before you actually get started) is ‘what results do you actually need, and by when?' If you produce too many leads — which is perfectly possible — your sales team won’t be able to cope, and you’ll waste those leads. We can help you set realistic goals based on your particular challenges and objectives. Of course, there are variables — and we think it can be done more quickly. For new clients who make a strong commitment to inbound, we aim to produce positive results after three months. A good example is provided by our work with LAN3, an IT reseller. 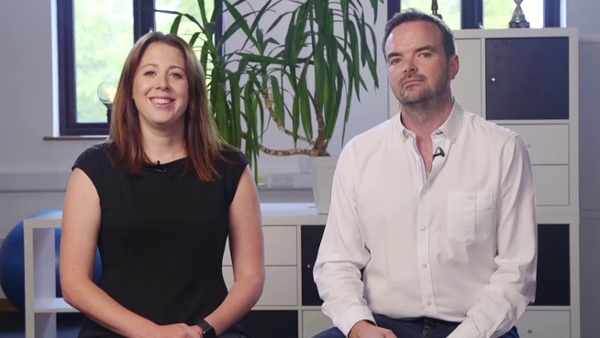 Within just five months of starting inbound marketing and sales, LAN3 had pipeline opportunities worth £7m and sales equivalent to five times ROI — see the video below. For businesses who want to take things a bit more slowly, it’s realistic to consider your first six months of inbound as a learning period. During this time you can build out your strategy, get to understand what works and what doesn't, and then begin optimising everything. It will take about six months to build rapport with Google and climb those search engine rankings. A study conducted by a MIT Sloan MBA student explored the growth businesses experienced through using HubSpot. The study found that on average, customers had increased by 4.29 times within six months, and that sales revenue had increased by 72% within a year. Does inbound mean I have to stop all other marketing activity? Unless your results from outbound have already hit rock bottom and you know you are completely wasting your time, money and effort, you're not going to be able to just switch to inbound straight away — and you don’t need to. Perhaps your blog content has drawn visitors to your website but hasn’t actually got them to make a decision on whether to commit to your product or service. The next step would be to make a phone call to act as a prompt and find out where they are in the buyer's journey, or perhaps to gain some feedback as to how to make any improvements in your blog content. This demonstrates how both marketing strategies can work well together. What do we do while we wait for inbound leads to build up? One of our recommendations is to look through your existing prospects. Unless you’re a new start up (or have an entirely new product line-up), every business will have prospects that you have entered into conversations with, but those conversations have fallen flat. Re-engaging with those prospects is a quick way to produce some leads for you to work on. It will also be necessary to take stock of your existing marketing tactics and work out how you can integrate them into your inbound process. Most of your outbound activity will most likely find its way into your inbound process. There is still a place for email activity, social media, pay-per-click and even outbound calling. It’s just a question of creating an inbound strategy that takes all the marketing tactics you currently implement, and integrate them with your inbound process. The great news here is that you can now try out HubSpot for free. When a lead shares their email with you, HubSpot Marketing Free will allow you to see who they are, where they work and which pages on your site they spend time on. It will inform you in real time if they download an offer (such as a white paper or survey report) or check your pricing. You will therefore know that it’s a good time to follow up with them (making sure that your focus is still on helping them, so that your call or email isn’t seen as salesy — many of us hate that). It will also enable you to see what is working and what isn’t — which blogs or other pieces of content are successfully ‘converting’ your website visitors into prospects by gathering their contact information. You can also make use of the HubSpot Customer Relationship Manager (CRM) for free, making it easy to get in touch with the right prospects at the right time. For those companies who are already convinced that inbound is for them, the paid-for versions of HubSpot offer tons of extra features that will make inbound work even better. How much you actually need to spend depends on the challenges you are facing and on how quickly you want results. Which marketing tactics you are already using is another factor — a lot of stuff can be repurposed, therefore saving time and money. If you want to know what this would mean for your business, give us a call. Can I teach myself inbound? You can, but for the many businesses who simply don’t have the time, resources or expertise to plough into inbound, it may make financial sense to employ an agency that can bring all the expertise, experience and strategy to help grow your business. Inbound isn’t something that you can start as a side project. It has to be done right. There’s no use investing in a strategy when it’s not the right one or creating a plan if your staff don’t have the time to implement it. Choosing a specialist agency will get your inbound marketing moving faster and with a whole team of experts at your disposal, your strategy will be kept on track. The cost of using an agency versus using your own people (who probably already have enough to do) will most likely be lower in the long term. You can always take it in house completely or in part at any time you need to, inbound should always be your process and your asset. There’s a lot to learn about inbound if you’re totally new to it. Asking an expert early in the planning process will mean you will get positive results more quickly, and also prevent you from making expensive mistakes. If you're thinking of going down this route, here are 31 questions you should be asking yourself before hiring an inbound marketing agency. That is mainly what our clients use us for — guidance and strategy. This means defining your goals and objectives for growth, properly implementing your new strategy and technology, constantly reviewing everything to see what lessons can be learned as you go along, and establishing the next steps to success. If you would like to learn more about inbound, give us a call, or register for one of our inbound fundamentals workshops. These sessions provide a great introduction to inbound and demonstrate how you can make the most of it. At the end of the day, you'll come away with an effective inbound plan that you can use in your own business. Have you got a single system that can do all of your online marketing? Make a quick mental list of all the tools you are using now. Website, CMS, email, social media scheduling platform, Google Analytics, CRM, etc. How much time does it take to pull reports together from all of these tools, to see how your marketing is performing? Make your job much easier — and save time and money — by using an all-in-one platform such as HubSpot. Another huge benefit of HubSpot is that it gives you excellent visibility of all of your marketing and sales activity and how it ties together. At the heart of HubSpot is a timeline for each contact, which shows you all the ways in which a contact has interacted with your business. Suddenly, your marketing and sales team can sing from the same hymn sheet and you can ensure that everything you do is tailored specifically to individual contacts. If you’d like to see what it would be like to have HubSpot in your life, just click here and we’ll set up a screen share to show you. Step three: create a persona profile for your ideal customer This profile (or profiles, if you have distinct categories of buyers) should be as detailed as possible, to enable you to write content that will be genuinely useful for the persona. Create a semi-fictional character based on your best customers — include their demographics and job role, as well as age, relationships, interests, brands they like, where they shop, what a typical day looks like, and what keeps them motivated or up all night. Knowing your buyer personas is one part. Knowing why, when and where they go looking for help is the next piece of the puzzle. To do this, match the trigger events that your persona goes through to the goals that you can help them achieve. Here’s an example: you fit one of BabelQuest’s target personas because finding new customers is one of your areas of concern (you probably wouldn’t still be reading this article if it wasn’t). Your trigger was realising your website isn’t bringing in enough leads, and you suspect changing it again isn't going to help the already-dreadful ROI you get from it. You’re looking for more information, and things like having a social media marketing plan, content marketing and inbound marketing have made it onto your list of things to think about. The goal we help you towards is finding new customers. So the content we publish has got to be written with you in mind, and needs to give you some useful advice on how to do that. Don’t go in for the kill with a sales pitch in every piece of content or follow up call. There is plenty of time to sell your fabulous services or products — but first, you need to actually help your prospect by providing genuinely useful advice. That will build trust and grow your audience. Focus on their trigger and goal and take it one step at a time. This means tracking the stages of the inbound journey so you can clearly see which activities generate revenue and happy customers, and which don’t. You know that traditional ‘stand-off’ between marketing and sales? It doesn’t happen with inbound—they are both working towards the same goal of customers who are happy, come back for more, and refer you to others. Analyse, adapt and repeat — inbound is an iterative process. If something doesn’t work, then tinker with it until it does. If it does work, do more of it. Putting all of your inbound marketing into one system makes this a lot easier, so it’s much more likely to actually happen. It’s common for marketing managers to ‘get’ the merits of switching to an inbound approach. You know the lingo, the landscape is familiar, and you’re accountable for the success of the company’s marketing — incentives don’t come much bigger than that. But you need buy-in from the person in charge, and translating those merits into a language they speak isn’t always easy. So how can you accomplish this? In work as in life, communication is key. With this in mind, we like to recommend a tried-and-tested sales framework called ‘the three-sale sale’. Read about the three-sale sale in how to build a business case for inbound. Most businesses need more customers. If you’re one of them, the idea of a methodical process that generates leads that close is highly appealing. The stumbling block that sometimes hits people is that inbound can seem daunting; there seems to be so much involved. The secret to overcoming this is knowledge; you either need to build up your own, or tap into someone else’s expertise. So keep reading our articles, or get in touch! Want to get started? To discover how to plan and build a successful inbound marketing strategy across your business, download our free ebook below.